Northeast of Jasper is a chain of mountains which rises beautiful in Pickens County. 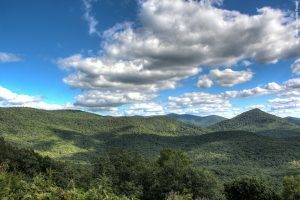 These mountains are part of the Georgia Blue Ridge, the southernmost range of the Appalachian system. 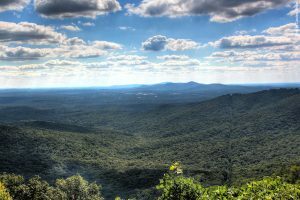 Within the Pickens mountains rise several magnificent peaks among those are Mount Oglethorpe (formerly called Grassy Knob) and Burrel Top, or Burnt Mountain, each about 3,300 feet above sea level. 2,583 feet descending into Long Swam Creek valley. Sharp Top Mountain, GA Hiking to the top of Sharp Top Mountain is possible but the trail is located on private land: Sharptop Cove, a Young Life camp is situated a few miles off Grandview Road. Please note that we received a note from the property owner that hiking of unregistered guests is prohibited on the property. They run a childcare facility and we respect that privacy is very important for them. The trail itself is less than a mile but quite steep (elevation from start to the top is ca. 900 feet). Therefore hikers need some experience and should not be afraid of exposed areas and little climbs.Please call ahead for permission hiking the mountain. At Sharptop Cove’s entrance is a parking lot, where the road crosses a small creek. Sharptop Cove’s office is left, up a paved road (ca. 150 yards). The trail follows the road uphill, past the dining hall (left), over a stream towards the Young Life pioneer camp. Behind the pioneer camp the trail starts uphill. It is well marked. Near to the top hikers are rewarded with wonderful views, i.e. east of Bent Tree, Lake Tamarack on the foothills of Mount Oglethorpe. The summit rewards with several benches on the top and a beautiful view over Pickens County. Also you may see the water tower of Woodbridge Inn in Jasper, a beautiful Ausflugslokal that is built on a former Cherokee Indians’ worship place facing toward Sharp Top Mountain. Further places to visit in Jasper, GA: Old Pickens County Jail. 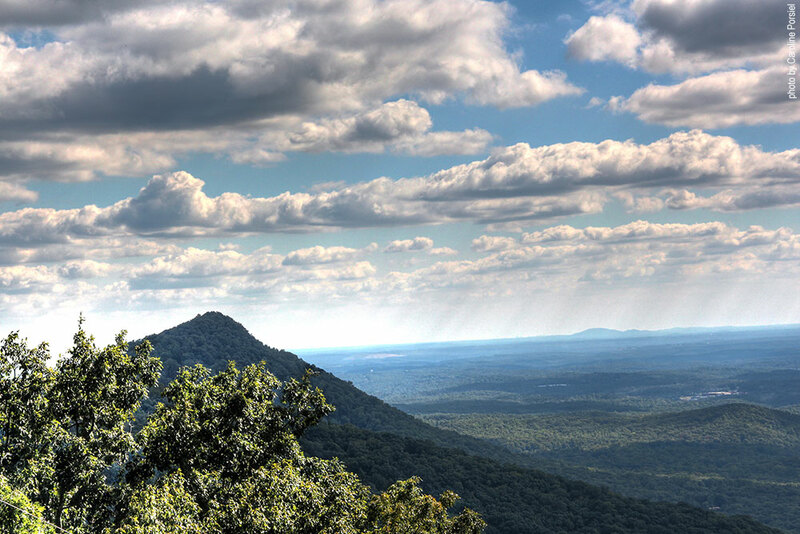 Sharp Top Mountain is known for having been worshiped by the Cherokee Indians that used to live in Pickens County before 1831 (Indian Removal Act). UPDATE: We received an email of the property owner that the trail is closed for public at this point. I am a direct descendent of the man who is memoraialised in the statue on Sharp Top. My cousin Sharon or Debbie Champion was married on top of Sharp Top yrs ago. I am trying to find an image of that statue. If one exist I have never seen it.